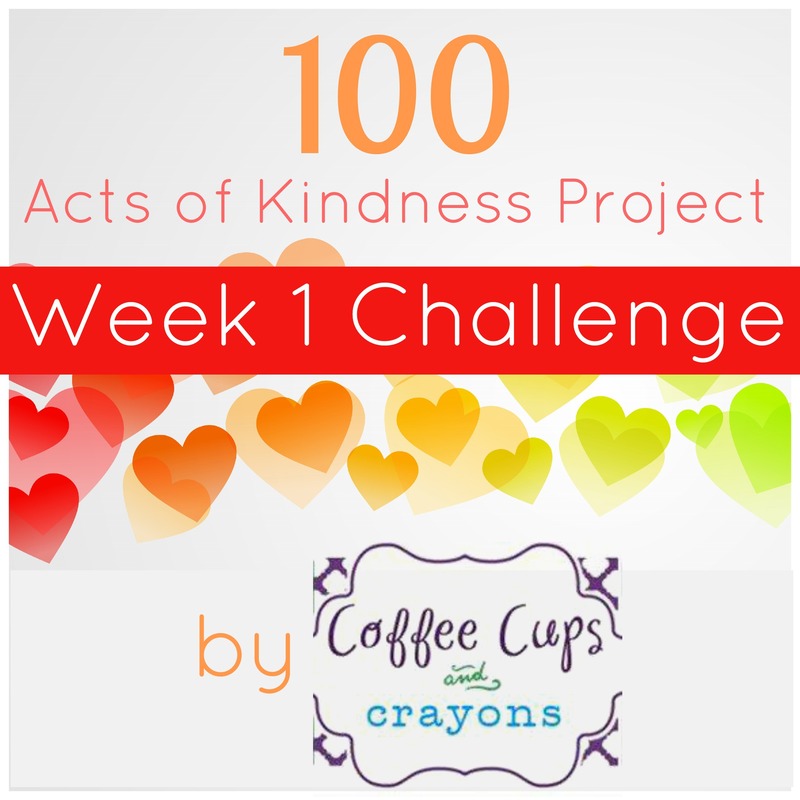 Today is the first day of Toddler Approved’s 100 Acts of Kindness Project! We are doing 52 Weeks of Kindness this year and are super excited to spend the next 4 weeks participating in the Kindness Project. It’s a fantastic family activity and I was thrilled when Kristina asked me if I wanted to give the first challenge! Week 1 Challenge: Show some love to your environment! This week we are challenging you to perform an act of kindness that helps the world around you. It can be as simple as picking up litter, planting a tree, or feeding the birds! 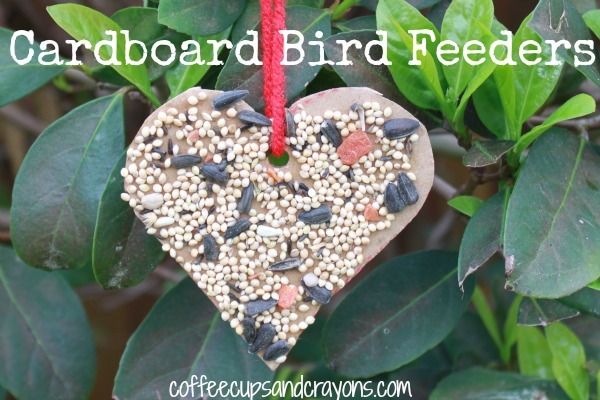 To start things off we made simple DIY bird feeders that are shaped like a heart–a great way to show your feathered friends just how much you care! Want to make them too? Stir the first three ingredients together and then mix the birdseed in by hand. Pack the mixture into heart shaped cookie cutters on a wax paper lined surface. Stick small piece of plastic straw into the middle to tie a string through. Tie with yarn and hang from a tree or bush. These were so easy to make we decided to share these with you too! All we did was trace and cut out heart shapes on leftover cardboard pieces and punched a hole in the top. Then we “painted” some with corn syrup and some with peanut butter. We sprinkled bird seed on and hung them from a tree with yarn. Super easy and cute! Now it’s time to show a little love to your environment! We can’t wait to hear about what you do this week! Make sure to visit Toddler Approved for all of the scoop on the 100 Acts of Kindness Project and the rest of the weekly challenges! And remember, no act is too small! LOVE these bird feeders! We are so excited for this first challenge and can’t wait to see what people decide to do. We are already brainstorming our ideas. So did the birds! Which was pretty exciting since they have not been interested in the other treats we have left them! Already having a blast with the 100 Acts of Kindness Project! Kudos to you for starting something so wonderful! 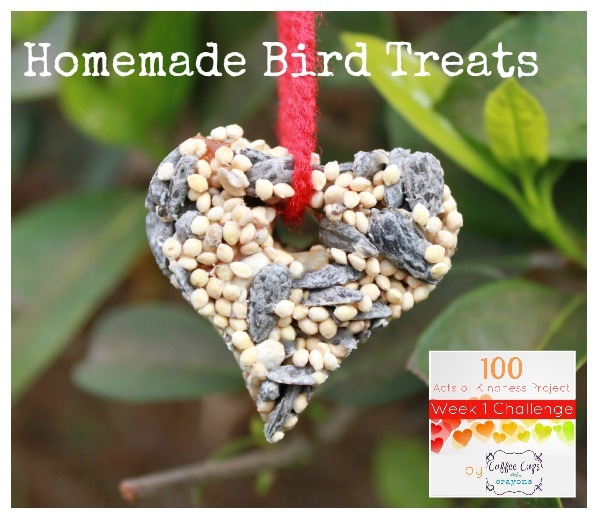 Fantastic challenge and we’ve made bird food today as well – simple toasted circles as my youngest is obsessed with circles. We’ll do something else each day this week for the challenge. Did the birds eat your toast? We tried to feed ours toast on ribbons and strings of popcorn but they wouldn’t try it. They must have been waiting for some sugar…they finally went for these ones with the corn syrup and peanut butter! Excited to see what you do for the challenge! So smart! We will be stealing that idea from now on! I am inspired! The bird feeders are lovely for the birds, no doubt, but the humans who get to looks at their beauty as well! I do love how they look too! Thanks so much Melissa! We figured out a way to love the environment and keep track of our acts of kindness! I just saw your post! What a fantastic, fantastic idea! I agree Melissa! They turned out so cute Megan! Thanks Kristina! Your Kindness Project is just phenomenal! Oh, great ideas! I can hardly wait to try these. Thanks Naomi! I just checked out your site and love the paper bag project you participated in! Thanks for stopping by! funny how this weeks acts of kindness is for our environment. 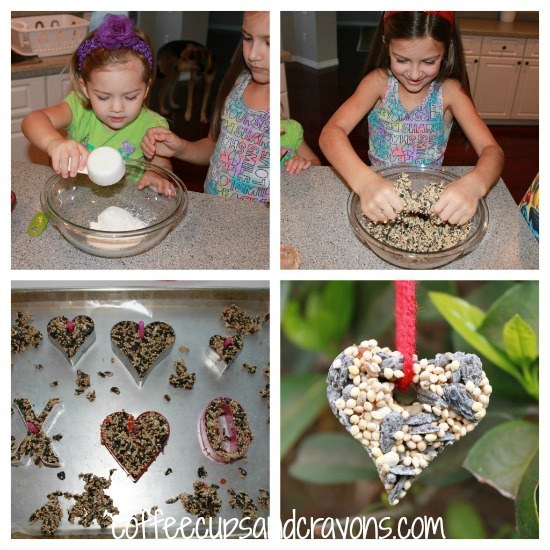 my class will be making the bird feeders, and i like uyour recipe better than the ones i have found. this challenge seems like a lot of fun and i will try to incorporate other environmental acts of kindness the rest of the week! That’s fantastic Dawn! This is a great project! I can’t wait to hear about what you do! I’m not sure our well fed SIngaporean birds needed this food as much as those going through a winter in the UK or US but we had fun buying the seed, making the cardboard bird feeders and hanging them in the playground of our condo. This weekend we’re hoping to visit an animal shelter to donate some food for the dogs and cats too. Ha! That is probably true! It’s great that you are also visiting the shelter and donating food too! Fantastic! totally doing this with my kiddos this week! thanks for sharing. Yay! It’s amazing how much fun acts of kindness can be! Yay! I’m so glad you’re joining in!!!! I LOVED your post and hope my comment went through (and that it didn’t go through too many times!) such great ideas! We are going to have to do chalk hearts too! LOVE this challenge! I am the founder of a community organization in Knoxvile, TN called A Spark of Kindness, and we do a monthly ‘Kindness Challenge’. We are happy to feature this week’s challenge and will be linking our readers back to this blog! That is fantastic Amber! I can’t wait to check out your site! This is so easy. Glad to find this. The little one wanted heart shapes! Thanks for the idea.